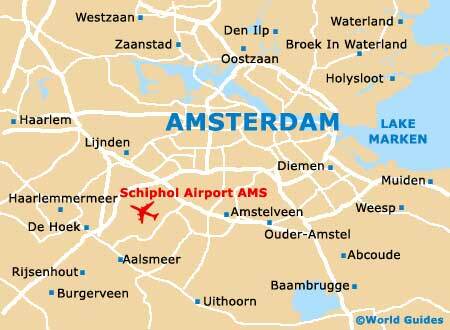 Schiphol International Airport is considered to be one of the finest airports in Europe and is conveniently located just 15 km / 9.5 miles south-west of central Amsterdam. Renowned for its facilities and efficiency, the airport handles a large number of international and domestic flights, and features a wide range of amenities that rivals any other airport terminal complex in the world. Airport signage is in English as well as Dutch, and all the symbols used are those which are recognised internationally. Schiphol Airport is a compact airport and it is only a short walk to the baggage area and also to the many duty-free shops. Facilities at Schiphol Airport are second to none, the disabled are also well catered for and there is childcare, showers, day room and numerous information points. Both rail and road give good connections from Amsterdam Schiphol Airport to Amsterdam city centre and there are numerous regular and shuttle services available which are both reliable and reasonably priced. The airport is also well served by taxis. Amsterdam Schiphol Airport's train station directly links to Amsterdam Centraal Station. The trains run every 10 to 15 minutes from 06:00 to 24:00 and subsequently hourly throughout the night, with the journey taking approximately 20 minutes. Buses run regularly every 15 to 20 minutes from Amsterdam Schiphol Airport to the city centre. There is also a shuttle bus service that calls at many of the city's hotels. Taxis, available from outside the arrival hall, take about 15 minutes to the Amsterdam city centre. 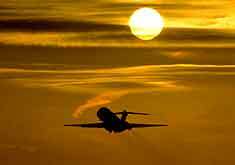 It is possible to book a taxi in advance but there is usually a plentiful supply of cabs.